Defending champion Cameron Stronach will be hard to beat in the superbike division, with Anthony McFadden the only one who could beat him. But if Stronach does succeed, this will be his third consecutive WA Superbike title. McFadden, who returned to racing two years ago after a 14-year break, is 65 points behind on 209, with Ben Stronach on 196 and Chris Brown on 186 to fight it out for third place. 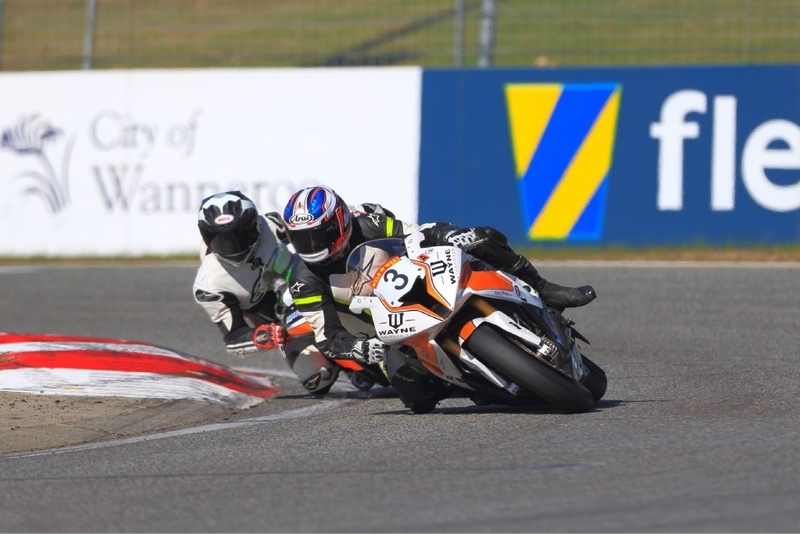 In the B-grade superbike series, Brown has a 25-point lead over Ashley Fleming on 222 who is just nine points clear of New Zealand�s Adam Chambers, while in the C- grade series, Tim Simmons leads on 247 points, just four clear of Mike Howden and Neil Fraser in third. In the supersport championship, it is again a two-horse race between Thyron Van Vuuren on 248 and Livio Zampieri on 217. Ray Tschorn, who is on 196, will be hoping for third with Leigh Boujos not far behind on 170. David Doughty is favourite to win the 125GP championship with second-placed rider David Noblett having to make up 47 points. Jero Joyce and Corey Blackman will hope to continue their run of perfect rounds in the sidecar championship, with Des Harvey, Gary Cushnahan and Dirk Jeal currently in second and defending champions Murray Stronach and Joanne Thompson in third. Practice on Saturday starts at 9.30am with racing of the clubman 600cc and 1000cc, 300 production and junior divisions from 11am. On Sunday, warm-up starts from 8.40am with racing from 10.30am.